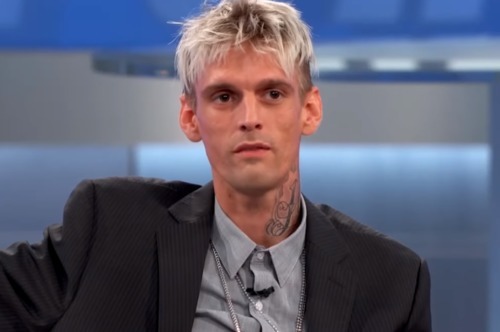 Aaron Carter has gone back into the closet, claiming he was “misconstrued” when he came out as bisexual last summer. Now he claims that calling him bisexual based on these revelations is a misreading. He was asked during a recent interview with Hollywood Life if he was open to a relationship with another man. Because, you know, two men could never possibly have a child together. At the time of his coming out, he appeared to imply his ex-girlfriend, Madison Parker, left him due to his orientation. Carter also labeled himself as bisexual during a performance at the LGBTQ restaurant and bar Hamburger Mary’s. “Yes, I am a bisexual man,” he told the crowd after his first song, the Tampa Bay Times reported. But now he wants off the queer train, apparently. Well, fine, whatever, but don’t be surprised if that support you were feeling starts to waver as people begin to wonder if you just played at labeling yourself bisexual for the publicity. Or, if you truly are bisexual but decided the heat was too much and decided to abandon the community in order to go back into the closet. It’s sad to see anyone remain closeted, and it’s sadder still to see someone go back in. If that’s what this is, let’s hope he finds the courage to once more be open about himself without feeling a need to obfuscate.